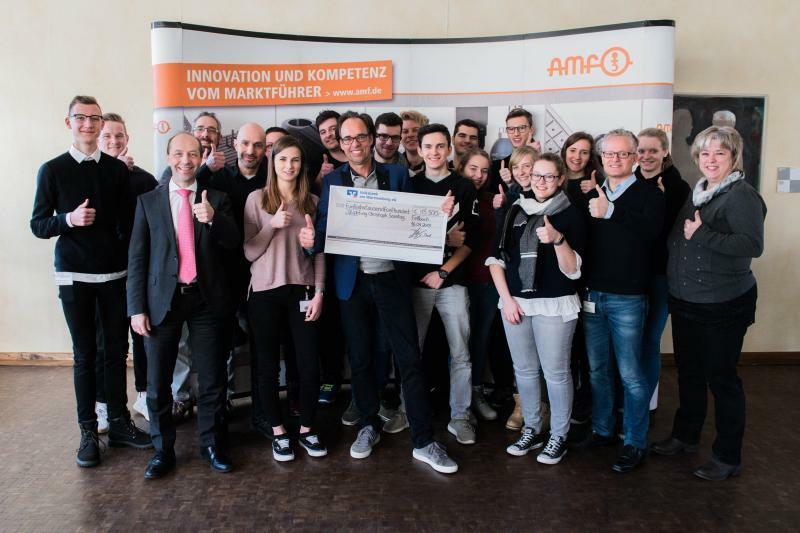 The annual donation of the AMF trainees this year goes to Stiphtung Christoph Sonntag. €15,500 from the proceeds of the sales at the Fellbach Christmas market was presented by the young employees to the foundation founder, who accepted the cheque in person. For the thirteenth time the income generated is going to a worthy cause. For the project as part of their training at the traditional Fellbach company, the trainees work of their own accord just like a small, independent business under realistic framework conditions. The young employees even choose the recipients of the donation themselves. The charitable Stiphtung Christoph Sonntag (the Christoph Sonntag Foundation) supports fellow human beings and projects for the protection of nature. "Time and time again, I am deeply impressed by the degree to which our trainees dedicate themselves to turning what has now become a traditional project at the Fellbach Christmas market into a fantastic experience," enthuses Peter Andrianos, the man in charge of industrial training at Andreas Maier GmbH & Co. KG. An incredible €15,500 of revenue is the result of the sales campaign at the Fellbach Christmas market. As always, the young staff donate the money to a worthy cause. This year the donation is going to Stiphtung Christoph Sonntag (the Christoph Sonntag Foundation). The renowned cabaret artist and foundation founder was delighted with the social commitment of the young people and accepted the cheque personally. Visits from prominent celebrities are a rarity in the 128-year history of the Fellbach family company Andreas Maier GmbH & Co. KG. Yet it was the visit of Christoph Sonntag in his role as foundation founder which pleased the people in charge the most. "Young people taking on professional and social commitments nowadays is not a matter of course. This is why we are especially delighted with the extraordinary donation, with which we can continue to advance our charitable projects", stresses Sonntag. Revenue from the campaign amounted to €15,500. 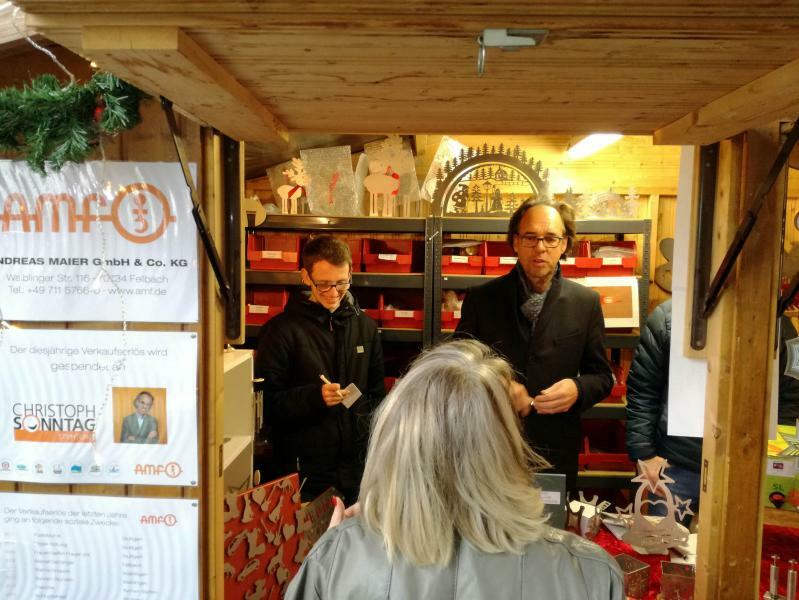 2018 was the thirteenth time that AMF trainees sold self-manufactured products at the Fellbach Christmas market. The product range consisted of more than 50 items made out of metal, which continues to grow every year with newly developed and self-manufactured products. Last year, seven items were added, of which two soon ended up being amongst the bestsellers. 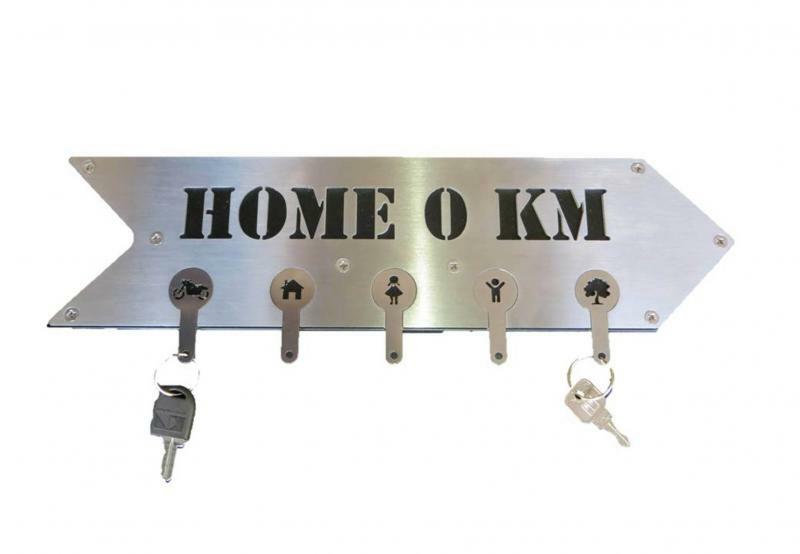 The products range from useful items such as key racks, to decorative Christmas articles, to games. Felix Grockenberger, a toolmaker in his third year of training, is buoyed by the project: "The trainers give us free rein. They will step in to help when it gets tricky, though". And Rafael Korst, a commercial trainee in his second year of training, adds: "Right from the start, we link the production and commercial aspects". Everybody welcomes the fact the proceeds go to a worthy cause in equal measure. As ever, it was the trainees themselves who suggested the donation recipient. Stiphtung Christoph Sonntag (the Christoph Sonntag Foundation) is now delighted with the donation. The handing over of the cheque to the foundation founder Christoph Sonntag took place on Wednesday 16 January at AMF.